Includes: Bike, Helmet, Guide, Water, Food! Designed specifically for the food lovers, our Osaka food tour digs into Osaka’s famous food culture. Forget 'Kuromon Market', leave your guidebook at home and join us for a ride through some local Osakan neighbourhoods. You will sample some amazing food from our favourite eateries, meet some the locals, learn some survival food Japanese, explore local markets and shopping arcades and also take a peaceful break at Japan’s oldest temple! 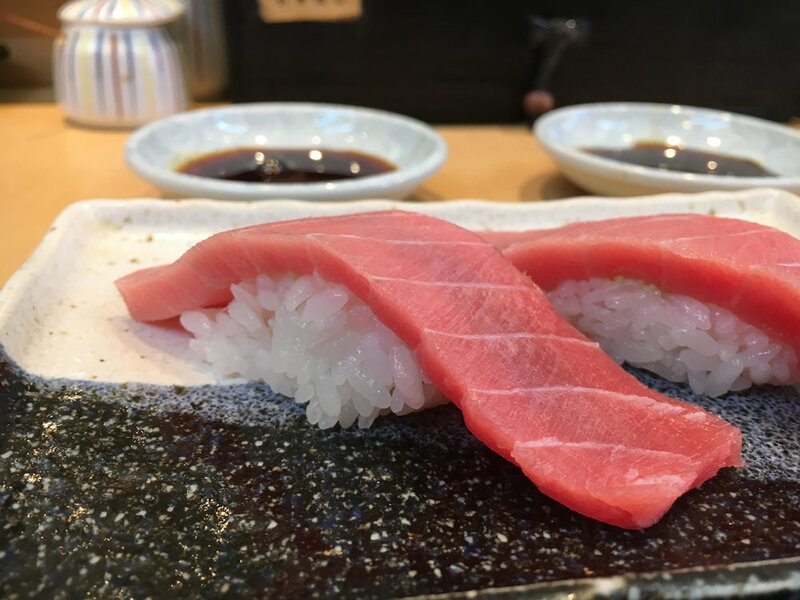 Partly because places close at random times, and partly because we just like variety, we do not have a 100% set route but instead we will chat to you on the day to make sure you get the most out of your Osaka food tour as possible! At the end of the day, you are invited to a free knife demonstration from our friends at Tower Knives! NB. Please inform of any dietary restrictions at the time of booking and we will do our best to accommodate you.